Did you know there are other palaces besides the royal palace? 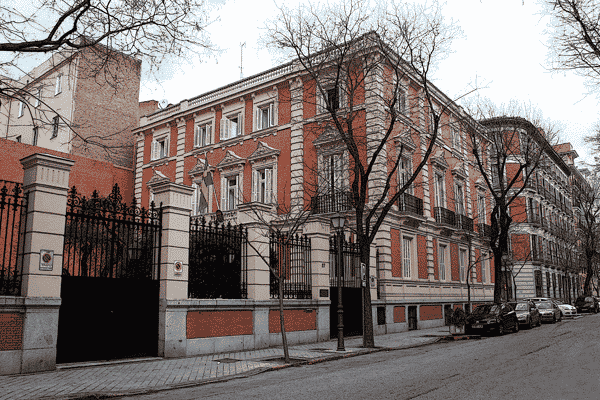 Madrid is home to 12 palaces. Some are located on hidden streets, around the corner, and even a little outside of the city. 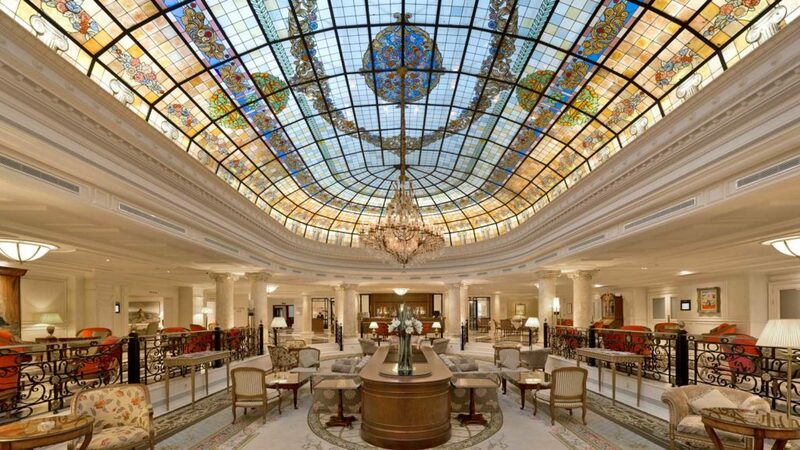 If you have visited all the other big attractions and sights in Madrid, you should check out the many beautiful palaces rich in history and culture! 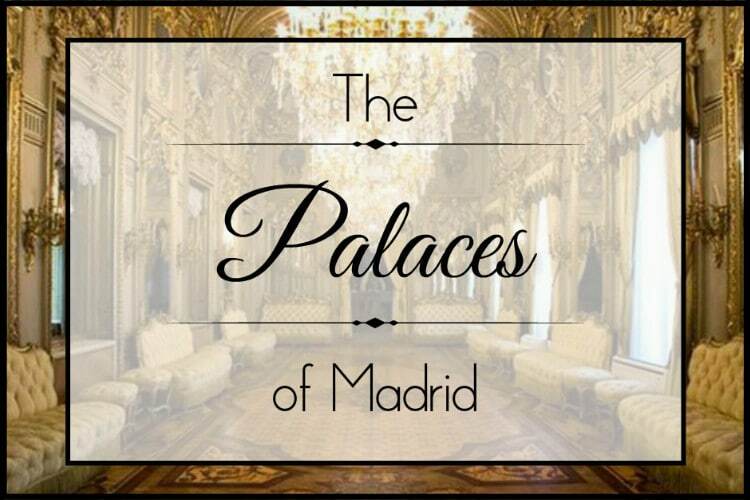 Here are the 12 Palaces and Manors of Madrid! Located near the Plaza de Cibeles on an outcrop with gardens, this palace is a very large building that once was the Dukes of Alba’s residence. The architect Pedro de Arnal designed the current palace after the thirteenth Duchess of Alba had the existing building knocked down and rebuilt. The original building was built in 1767 on the royal estate known as Altillo de Buenavista. The architect hired by the Duchess of Alba combined both Italian and French designs. Many of famous pieces of art were housed here and at one point the palace was wanted as the location for the Royal Museum of Paintings (known as the Prado Museum). After the Alba title was passed on to the Berwick lineage, the palace has undergone numerous renovations and construction. Today it is the General Headquarters of the Army. If you go a little outside of Spain to Alcalá de Henares you can visit this palace. The architect, painter, and restorer Manuel Laredo built it in 1882. He was a member of the Royal Academy of Fine Arts of San Fernando. The palace was his family home, but now it currently belongs to City Hall and is home to the Cisnerian Museum of the University. When you step into the palace you will see visible influences and similarities of the Alhambra in Granada. There is also an original gothic vault that is still in good condition and shows one of the oldest planetariums in the world. Around the palace is one of the few remaining conserved gardens of romantic style in Alcalá. This is a traditional palace house located in the neighborhood of Almagro. It was commissioned as a hotel, which was considered a single-family house for the Count of Muguiro. Severiano Sainz de la Lastra built the building between 1878 and 1881. 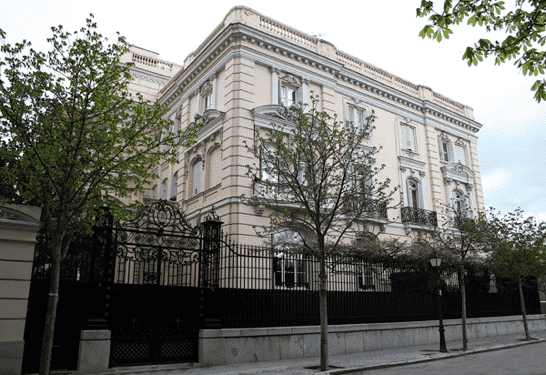 The heirs of Ángela Beruete sold the property in 1919 and a few years later Eladio Laredo carried out a second enlargement. Fun fact, the future queen of Belgium, Fabiola de Mora and Aragón was born in this building. After her family sold the building it underwent more renovations. The interior has a classic layout and there is a large beautiful staircase that was built during the time of Marquis of Casa Riera. 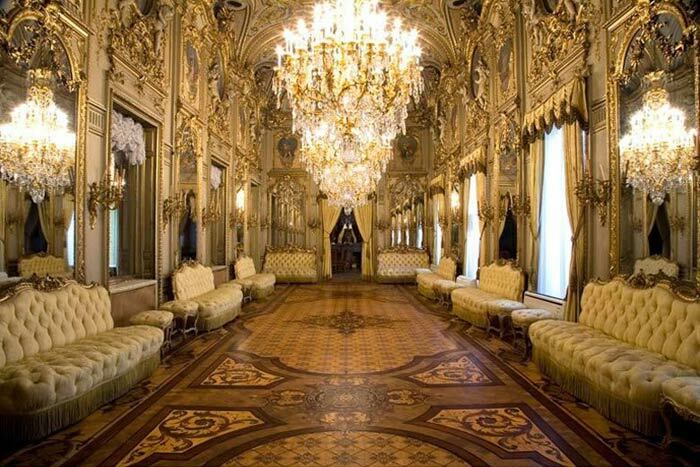 The construction of this palace was not easy because the art collector Jose Lázaro Galdiano was a demanding customer. Galdiano decided to take up a residence in Madrid along with his wife and thus Palacio Parque Florido was born in honor of his wife. The building houses many treasures and valuable art collections, which were donated by Galdiano. In 1948 a foundation in his honor was established and the palace became a museum. Today, after many renovations and transformations, it is not well known, but those who pass by the building wonder what hides behind the building doors. In Spanish, Palacete means mansion and this mansion was both a family home and a studio. In 1905 Joaquín Sorolla bought the site of building next to the old promenade of the Obelisk. After his success in the United States in 1910, Sorolla commissioned a project from the architect Enrique Repullés and Vargas. Additionally, Sorolla designed a garden phases with help from some of his friends. The first garden was inspired by the Sevillian garden of Troy of the Reales Alcázares. It includes strong Italian character and decorative Muslim elements. The house and study are connected by the main staircase and central courtyard. 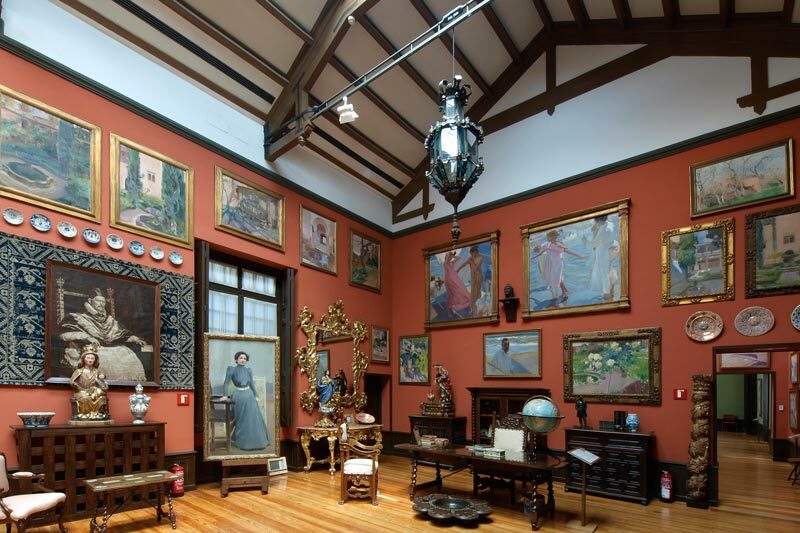 Today the building has been converted into a museum after the death of Sorolla’s widow. Located near the Reina Sofia Museum and in the heart of Madrid, you have most likely walked past it without realizing what hidden treasure lies behind the doors. 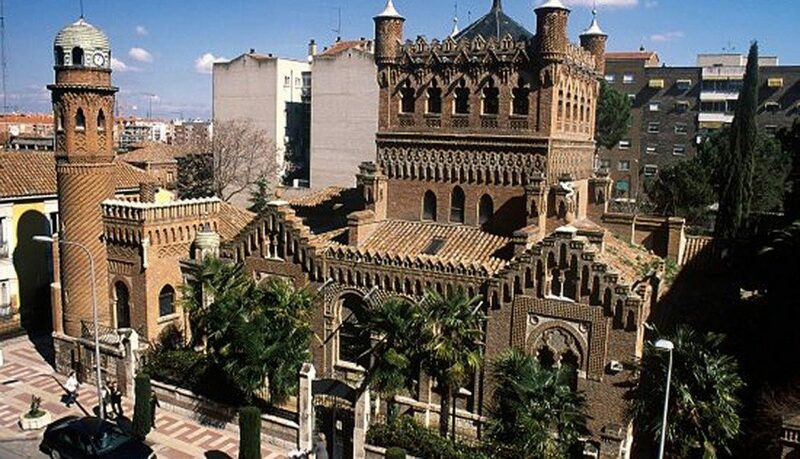 It was built as a home for Blas Jover who was council secretary for Fernando VI. 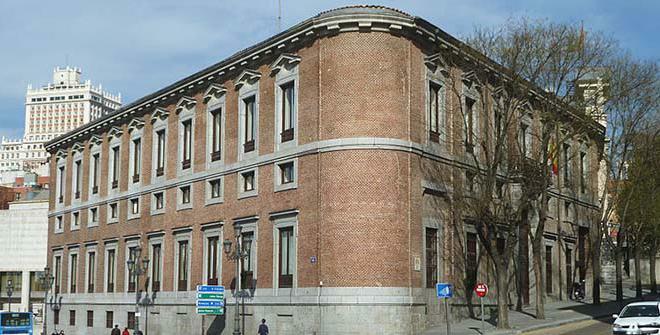 The palace is a beautiful mid-18th-century building that was the Headquarters of the Fundación de los Ferrocarilles Españoles (Spanish Railways Foundation). 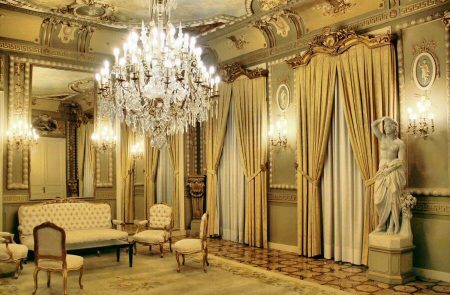 It is decorated with numerous carpets and tapestries of the Royal Factory of Santa Barbara and also has silk fabrics, marbles, bronzes, and luxurious furniture. 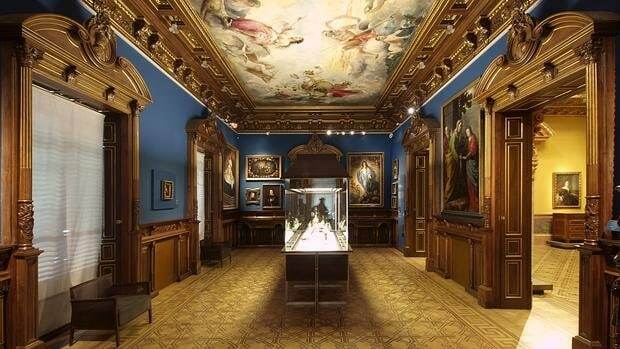 The plot of land belonged to the Santa Isabel convent and today it is one of the best-preserved palaces in Madrid. It is also known as the House of the Seven Gardens. Built in1728 by the architect Juan Valenciano, the palace was inhabited by the Duchess of San Fernando in the middle of the XIX century. A few years later nun took over and ran a school for girls in it. Then it was abandoned for a certain period of time and the Countess of Parcent acquired it. She made it her residence and later a museum where she often held art meetings. Today it houses some dependencies of the Ministry of Justice. This palace is actually the Sweden Embassy. It is located near the Españoleto, Zurbano, and Caracas streets. The property was bought in 1892. The same year, the architect Eugenio Jiménez Correra was commissioned for his first project, which was not successful. Following the promoter’s directions, Castiñeira designed a house-palace where the main floor was for the owners and the lower and upper floors were for renting. The exterior image of the palace contrasts with the interior, which is organized around a large central courtyard and a renaissance type upper gallery column and with neoplateresco decorations. An example of a typical Madrid medieval house of traditional Islamic style, this house palace is one of the oldest buildings that exist in Madrid. It was built in 1471 for Pedro de Luján the son of Miquel Jiménez de Luján, who was originally from Aragón. After his death, his children divided the house manor into two independent entrances: la Casa-torre de Pedro de Luján and la Casa de Álvaro de Luján. In the 19th century both manors were saved from being demolished when the Ministry of Development to the Count of Oñate acquired them. After undergoing many remodels, the buildings were rejoined in 1996 by the Academy of Moral Sciences and Policies. This building is in front of a library and located in the historical center in the Plaza del Marqués of Rafal. The palace contains various works of art from the Gothic centuries to the present. 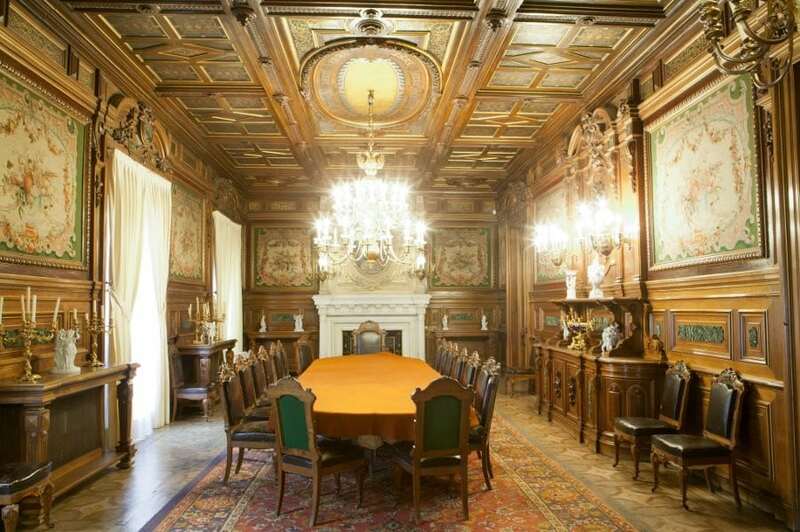 It is also home to an interesting collection of tapestries and a library that includes an important archive with notarial protocols of the 17th century. The main façade of the building has two access points. One gives access to the courtyard of the palace and the other to the main staircase, which is decorated with military objects such as armor and sabers. In 1776 the palace was commissioned to Francisco Sabatini as a place to accommodate the first Secretaries of the Office and corresponding administrative dependencies. It is located the Madrid of the Austrias. Be sure to take a look at the staircase, which is the building’s most characteristic, distinctive feature that makes a bold statement. The name comes from the residents Marques of Grimaldi and Manuel de Godoy, Prince of Peace, and both ministers of the king. While Godoy was living in the palace he decorated the inside of the palace with marble, frescoes, gorgeous sculptures and doors. Presently, the palace is home to the Center for Political and Constitutional Studies. 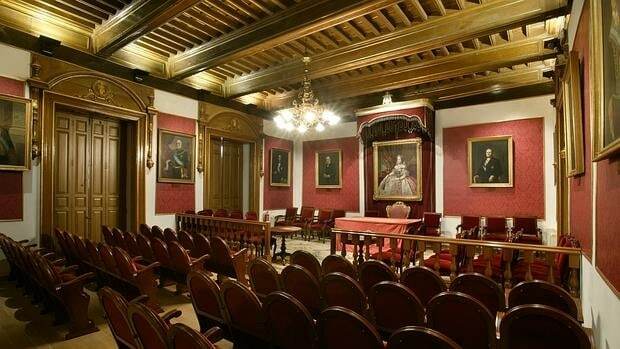 The palace has been the residence of noble families of Madrid since the end of the 17th century. At one point in time, it was know as the palace of the marquesa de Pinohermoso. Due the acquisition efforts of one nobleman, the palace was constructed. One of the most well known tenants of the palace was Maria Teresa Cayetana de Silva, the Duchess of Alba. 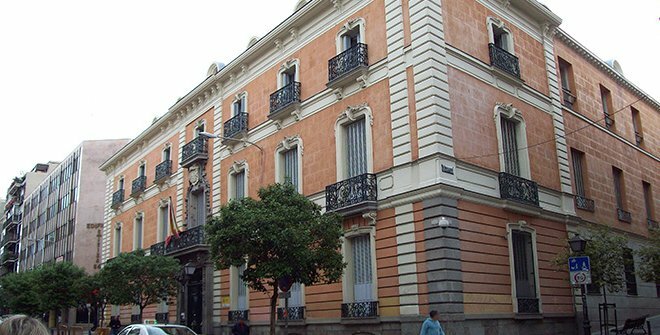 Today, the palace is a historic building on calle de Don Pedro and is the headquarters of the Real Academic de Ingenieria. This organization was ceded by the state in 2005 with the commitment to completely rehabilitate the building, which is exactly what they did.